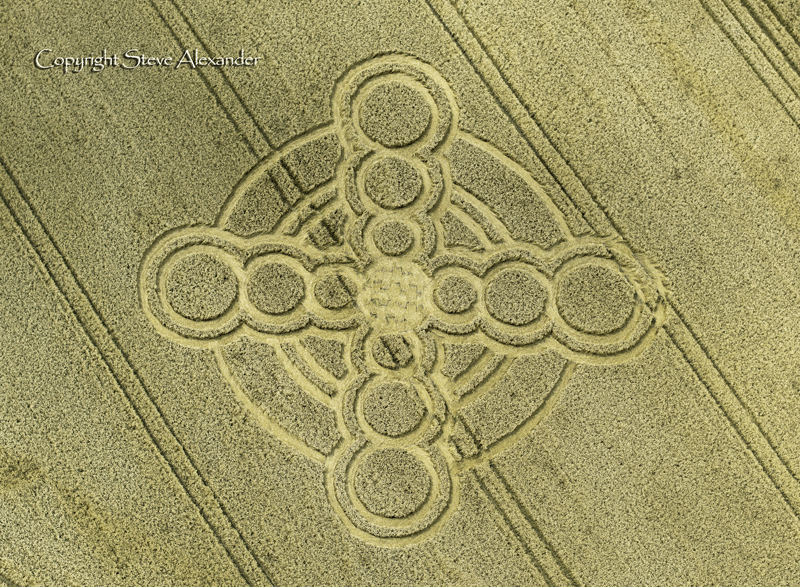 Summer 2017 I visited 3 crop circles, but the one that I will always remember is the 'Celtic Cross' at Atherington in West Sussex. The Celtic cross pre-dates Christianity. It originates from a solar symbol which is a simple cross within a circle. This crop circle was in a wheat field next to the beach. Really beautiful. I went there twice. The first time I sensed and saw a vortex of gold light. The energy was beautiful, sacred, and what people describe as 'Christed' energy. I went back a week later and was given information about the energy. Historically this energy has been on this planet before. Higher spiritual forces tried to anchor this frequency here in the middle ages, at the time when the beautiful illuminated manuscripts were created. However, there were other controlling factions which did not want higher evolutionary frequencies of this kind on the planet. These forces deliberately brought this beautiful energy down to a third dimensional lower vibration. The message of the circle at Atherington is that this beautiful energy is now back and is being anchored on the planet at this time.